ully Redesigned and custom developed this website for a leading promotional Marketing company. Promotional Marketing Solutions Specialize in Cost Effective Promotional Items. 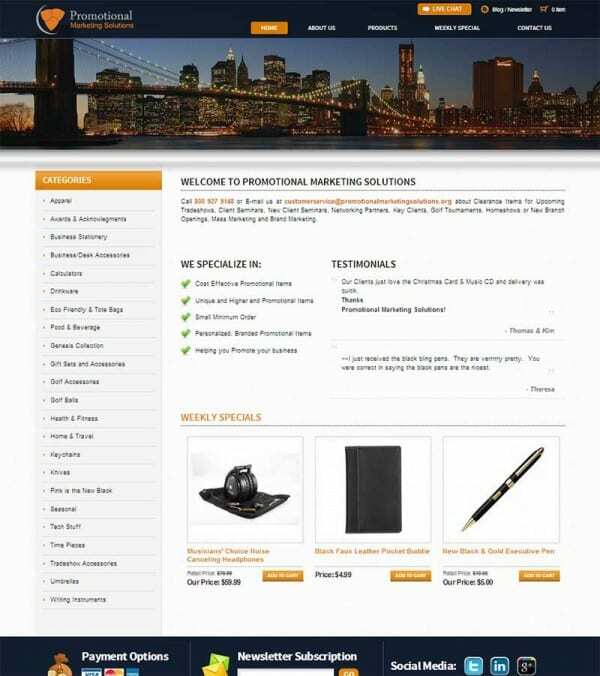 Includes a custom shopping cart with hundreds of products with multiple attributes. Other features includes secured checkout, shipping integration, SEO optimized website design and more.